But for me, that meant goofing around on the few game programs that the school had. Far and away, my favorite game was Santa Paravia and Fiumaccio. It was a predecessor to Sid Meier's Civilization, and it gave the players a chance to rule an Italian city-state with a few basic options. You can even play it now for free on the Internet Archive. I was fascinated with the game, and as it was programmed in BASIC I asked for and received a printout of the source code. *** I had this grand idea that I'd convert the program to TI-BASIC so I could play it at home, but I never got around to finishing up the conversion. Still, the concept of having a printout of a complete computer game never failed to fascinate me. Therefore, you can imagine my surprise when I came across this article a few weeks ago about the history of the classic computer game Oregon Trail and how, for a few years, there was exactly one printout of the source code in existence. I've never played Oregon Trail, as it was released a bit too late in the 80s for me to play it with the same zest I developed for the Ultima series, but I knew of people who were almost religious in their devotion for the game. And here, in classic 70s/80s computer fashion, there was a period when the original incarnation of The Oregon Trail could have easily been lost forever. *My high school was the first in our area to require a computer programming class for graduation. Given that it was an unlikely case a family did have a home computer (it was likely a Commodore 64, TI-99 4/A, or an Atari 400 or 800), this was a big deal. **My hatred of the COBOL programming language dates from my experiences with it in high school. Why anybody thought COBOL was a good idea is beyond me. ***I believe I still have that code somewhere in the basement, along with the TI-99 4/A computer that I used growing up. Still, the armchair quarterback in me has been following along with the hype and inevitable problems at the game's launch. You know the old adage "Fool me once, shame on you, fool me twice, shame on me"? This definitely applies to software releases these days. Even the supposed gold standards of software development and release, Blizzard and Apple, have had their share of software launch bugs. This makes me wonder why someone would even bother buying the game at launch, much less pre-ordering, when you know that bugs will frequently be the reward of playing the game first. Another way of putting it is "Why pay to be a beta tester?" In the case of Mass Effect Andromeda, there are bugs, and there are features. The bugs are the obvious items: system crashes, graphical glitches, selections that don't work, etc. You know, the usual stuff. But features, those are design decisions that may seem like bugs but aren't. There are animation glitches in Andromeda, no doubt, but the overall look and feel of the animation is not a bug or a glitch. That was a design decision. I'm reminded of the behind the scenes extras in the DVD release of The Incredibles. In the video article, they were talking to Pixar developers and engineers about the technical leaps they had to make for The Incredibles to work. As it was Pixar's first animated movie with an almost exclusively human cast****, they had to expand their technical capabilities to get certain aspects of animating humans right. At one point during production, one of the engineers had to go to John Lasseter (the head of Pixar) and tell him that "at the moment, hair is still pretty much theoretical." The concept of having hair move properly when animating a human --whether that hair is dry or wet or in a convoluted design-- confounded the developers for a long while. And in the work surrounding Mass Effect Andromeda, the scale of the game meant that Bioware likely had to determine what priorities the developers worked on, and what aspects of development they were going to use an off-the-shelf or generic solution for. What does all this have to do with the facial and character animation? My speculation is that part of the Andromeda animation wasn't a high enough priority to deal with as an internal project, and so Bioware used an off the shelf product to handle the animations. And the issues with the facial and character animation could be due to a) integration with the main software, b) the third party software needing tweaks to work better with the overall product, or c) the third party software is being asked to handle something that might be beyond its current capability. Or maybe a combination of all three. "Simon: Before I speculate on what the cause of these animation issues are, I think it’s important for people to understand some of the numbers behind a game like this. I don’t have exact figures from ME:A, but we do know that Mass Effect 3 had over 40,000 lines of dialogue and Dragon Age had about 60,000. If we split the difference at 50,000 and conservatively estimate that each line averages out to about three seconds, that puts us at around 41 and a half hours of dialogue. That’s about 21 feature films worth of just talking. Most of the major animated feature films have a team of about 70+ animators working for two or more years to complete just one movie. A game like Mass Effect might have somewhere between five and ten focused on more than 20X the content in the same amount of time. To add to that, we need to also factor in localizing (translating) the game into at least 4-5 additional languages. Back to the original thought behind this post, why bother buying a game at launch if you know there's glitches and/or features that need to be cleaned up? Part of that is, I suppose, faith in the development house to get the job done right. Or if not done right initially, then to fix the problems quickly. Reputable development houses don't just sit on problems, they fix them. And another part of this is the reality behind software development. It is much more complex than, say, building a fence or even a car, and constant tweaks in response to unforeseen problems is pretty much par for the course. And finally, there's also the recognition that very few software development houses announce a release when they feel it's ready --okay, it's Blizzard-- and that when a release date is presented to the public there becomes an enormous amount of pressure to meet that date. The company doesn't want to lose face to its investors, the investors are constantly asking each quarter "What have you done for me lately? ", and the development staff doesn't want to disappoint the fans. For my money, Blizzard does it the right way, but even they aren't immune to the occasional bad release. From my perspective, I have absolutely no need to rush in and buy something the moment it is released, so I'm content to wait. I did that once, when I bought the original AMD Athlon system back in 1999, and six months later I could have paid about $600 less for the same system. I learned my lesson that time, and I've not wavered from it. *Yes, I'm quite aware that you don't need to have played the original ME trilogy to have played Andromeda, but it provides a good buffer to rushing out and buying the game from the get go. Besides, immersing yourself into the world of Mass Effect prior to playing Andromeda isn't necessarily a bad thing, even without the Geth or Reapers. **Okay, I can understand the soundtrack enticement. ***I'm not a fan of the Assassin's Creed series, but the bugs of Assassin's Creed Unity are infamous among gamers. ****I kind of count the robot as a minor character. *****Okay, I'm going to get a little technical here, but in C and C++, memory allocation is a huge thing. If you don't do it right, or you go beyond your allocated memory, you could end up overwriting whatever else is in memory. It's very powerful, but it is also dangerous. If you don't clean up your memory allocations, you end up with what are called "memory leaks". And eventually that will kill your performance and potentially cause crashes of software or the computer/server. The greater the complexity of the software, the harder it is to find these memory leaks by yourself and you have to rely upon --you guessed it-- third party software that shakes memory leaks out. But the fun doesn't stop there, because something might be working perfectly fine in its "leaky" state, and once you fix it the function/code stops working right. And then you have to go find out why that's the case, and maybe you find even more memory problems underneath it. Java has this problem too, and that's why a lot of Java implementations --especially early ones-- have so many memory problems. I know, I know, it's St. Patrick's Day. You'd think that I'd dip into some Celtic inspired video game music for today, but I decided to go in a different direction. Jeremy Soule composed this piece for Skyrim, which does have some Celtic overtones to it. For some reason, I missed this particular version when it came out a year ago. Finally, here's something that speaks to the majesty of the city of Durin's Folk. 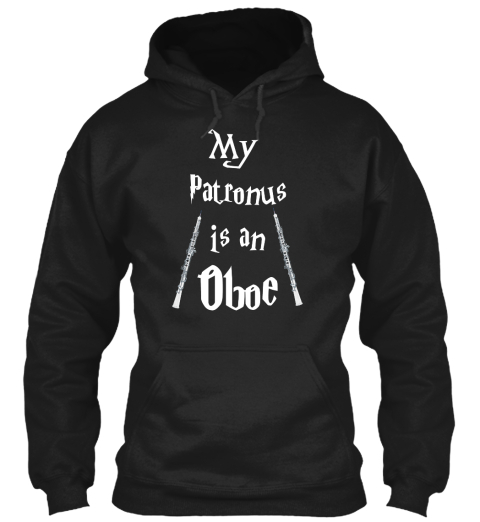 I found that I'd missed this music when I returned to the halls of Khazad-dum. I've been avoiding this for the past two weeks, but I think I can't hide any longer. 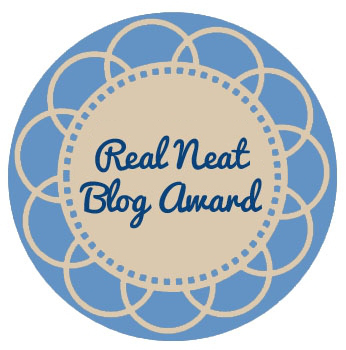 A long time friend and fellow blogger, Navimie of The Daily Frostwolf - Druid Edition, nominated me for a Real Neat Blog Award. I've been nominated for similar awards before, and they all follow a similar pattern: a shout out to the nominator, answer some questions, and pay it forward by nominating more bloggers and ask them questions. For me, the easy part is the thanking and nominating. The hard part is answering the questions. Yeah, answering questions is my Waterloo. Answer the seven questions your nominator has provided. Nominate seven other bloggers and create seven questions for them. I covered item #1 with a reference to Navimie above (/waves). What would constitute a perfect day to you? Which super villain (if any) do you secretly admire or feel sorry for? If you had to recommend one book to read, what would it be? What is something you wish you could do but you can't (eg draw, sing)? If you could play with someone in World of Warcraft, who would you play with and what would you do with them? What was the kindest thing anyone has done for you in a computer game? If you could choose your spirit animal, what would it be? 1. What would constitute a perfect day to you? I'm a parent and at work I'm on call 24x7. What a perfect day for me is a day of undisturbed peace and solitude, highlighted by a good nap and a hike in the woods followed with some time by a lit fireplace. I'm not saying I'm not happily married nor happy to be a parent, but a completely stress free day without worrying about this or that would be great. 2. Which super villain (if any) do you secretly admire or feel sorry for? Most super villains aren't people that you can empathize with. Such charming people as The Joker or the Purple Man tend to bring out the reactions my family has when interacting with a centipede. ** The sadist, the merciless crime boss, the purely insane, and the power hungry are all part of the pantheon of super villains. And several superheroes started out originally as villains and morphed over time into ne'er do well superheroes in their own right, such as Luke Cage, Deadpool, Catwoman, Emma Frost, and Harley Quinn. For those who know their history, X-Men was born in the 60s, and provided a mirror to the times. **** Fear of "The Other" --particularly the immigrant and minority communities-- was reflected in humanity's reaction to the mutants. And the mutants themselves were a reflection of the Civil Rights movement, with their two factions' leaders representing opposing viewpoints: Professor X as Martin Luther King and Magneto as Malcolm X. The X-Men movies enhanced Magneto's stature, emphasizing his response to the anti-mutant sentiment as a Holocaust survivor, with his determination to not have a mutant Holocaust happen again by any means necessary. He is a sympathetic figure, and you can understand his motivations even though you disagree with his actions. 3.If you had to recommend one book to read, what would it be? If you'd have asked me this about 25 years ago, I'd not have hesitated in recommending Lord of the Rings. But over the intervening time, the movies came out and I stepped back from being a rabid Tolkien fan. I figure that people want to read LotR have already done so, as well as Harry Potter, A Game of Thrones, and other series have captured fans. And really, I've learned from recommending books to my wife that you have to tailor your book recommendations to what people like to read. In her case, just about all SF&F books I've recommended have fallen flat, so I've given up trying. However, there has been one Fantasy series that she really did like, and that was Kristen Britain's Green Rider series. I've only read the first three, because when I read the third I stayed up until 4:30 AM to finish reading it, and I really really don't want to deal with that again for a while. So I'd have to go with Green Rider, which got someone who prefers non-fiction and literary fiction to read something genre related. A close second would be Ariana Franklin's Mistress of the Art of Death series, Mystery novels set in the Henry II's England with the hero a Sicilian woman trained in the medical arts and very much a fish out of water in backwards England. 4. What is something you wish you could do but can't (eg draw, sing)? Given that I'm the only non-musician in the house, you'd think that this answer would be to play an instrument. But I'm actually fine with not being able to play, because I know my mind works in an analytic fashion that tends to clash with creative things such as improvisation. But what I'd really like to be able to do is just simply "wing it" and be improvisational, whether it is in a meeting, DMing an RPG campaign, or writing. I'm one of those people who have to have all the angles worked out ahead of time, so I wouldn't be stuck saying "Uh....." in front of a crowd. And yes, that has happened to me, back in my college days when I was in Model UN. 5. If you could play with someone in World of Warcraft, who would you play with and what would you do with them? Back in the days before cross server grouping was allowed, Tam of Righteous Orbs had orchestrated a "bloggers guild" on one of the EU servers. The idea was that WoW bloggers could hang out and play the game with their "virtual kin". In an apt metaphor of blogging everywhere, the guild started out great and then petered out as time went on. About a year or so later, Vidyala and Rades (of Manalicious, Orcish Army Knife, and From Draenor with Love) created a guild on Moonrunner (US) to hang with some of their fellow (now no longer active) blogger friends, and my Dwarf Paladin joined their small guild. I'll freely admit that I had more than my share of boneheaded moments, like the time in The Stockade when at the final boss a bunch of trash aggroed on me in the final boss fight and rather running to the tank and letting her take over the pull I got the bright idea that she'd be overwhelmed and decided to lead this trash on a merry chase throughout the already cleared instance. No, it was not my finest moment. At all. "Wait a sec, let me try this...."
I'd never been able to group up with Vid on her main and my (then) Alliance main, Tomakan, before that moment. It was an exhilarating thing to be able to group up and run an instance or Alterac Valley with a friend's main from another server. But if there's one thing I'd love to do in WoW once more, it would be to revive the spirit of those two old guilds and get some of my long time blogger friends together again. If there's one thing I really do miss about WoW, it's the discussions and playing around with some of my blogger friends over those years. Given the spectacular disintegration of my Horde guilds and the bleeding dry of the Alliance guild, I've kept the guild/kinship aspect of MMOs at arm's length while I play. But I still miss the shared camaraderie of my blogger friends, because we have shared the experience of loving something so much that we write about it. And it's not an exclusive club by any means --anybody can create a Twitch stream or start a blog-- but that shared experience means we have a connection that the average MMO player doesn't have. And those bloggers that have gone silent over the years, I really do still miss. 6. What was the kindest thing anyone has done for you in a computer game? The kindest thing? There was the time when I was in Desolace (Wrath Era), leveling Quintalan to L80, and a max level toon stopped alongside me, told me he was going to unsubscribe, and proceeded to give me a ton of items he'd stored over the years. There was also the time when I was on Quintalan in The Hinterlands, and a max level alliance toon appeared right beside me. Being on PvP-Stormscale (US) at the time, I thought I was dead. But the toon basically shook her head no, gave me a thumbs up, and went on her way. There was the time when a friend, knowing that my Alliance guild was all but dead, offered to have me join her guild instead. But I think the greatest kindness showed me in game was when Soul and his wife had decided that they wanted to get off Stormscale, and rather than leave me behind they sent me a snail mail. Inside, they wrote what they were going to do and rather than leave me --the newbie-- behind they paid my transfer fee. 7. If you could choose your spirit animal, what would it be? But that's obviously not me. As for a spirit animal, I'd have to go with a wolf. Not sure why, but a wolf it is. What attracted you to blogging as opposed to other forms of social media? What are your top five movies of all time? Outside of blogging or gaming, what are you most passionate about? What is something about you that nobody would ever guess? What do you find most engaging about gaming? If you had a chance to go back in time and tell your younger self something, what would you say? What is your favorite band and why? *I usually got a stare, then a "Redbeard, sit down and answer the question." I learned the hard way to give the teacher what they wanted, answer-wise. I can play that game if that's what they want. But it goes against my firm belief that you should be honest in your dealings with people. Which, I suppose, makes me a lousy Diplomacy player. Or a lousy office politics player, for that matter. **"Kill it!! Kill it with fire!!!!" is a typical reaction, as is "DAD!!!! KILL THIS!!!!!" ***He now counts --more or less-- as a superhero in the comic, leading a team of X-Men. Don't ask me any more details, because I'm not up on the X-Men comics. ****Marvel has done this before. Spider-man was a reflection of teenage angst, and both a desire to fit in and finding your way in the world, only under the backdrop of having superpowers. *****It would have also helped in my attempts at talking to girls when I was a teen and a college student. As for my wife, you may ask? She asked me out, not the other way around. EtA: Added Syl's other work to the MMO Gypsy listing. Playing through the Rise of Isengard expansion in LOTRO, I learned that the Rohirrim vendor in Dunland is not from the Riders of Rohan expac after all, but the other main reputation faction for that expac. I shouldn't have been surprised by that, but somehow that possibility slipped my mind. The Turbine/Standing Stone version of Theodred makes him seem like he'd have been a great king. He actually presented a pretty good case analysis of Saruman, but unfortunately he didn't realize one thing: Saruman had already been cautious in his build-up and had the overwhelming force he needed. More scouting/spying would have helped here. Player 1: "Did you see the new trailer?" [Several people]: "Yes. It's a fake!!" Player 1: "Yeah, but they used Old Republic clips in there!" Me: "It's not the first time, and it won't be the last." Player 2: "I wonder how many people saw "4th" on the upload date and thought "OMG! This must be real!" Me: "May the 4th: Star Wars. March the 4th: Basketball. Star Wars. Basketball." Player 2: "This basketball.... Is it like Huttball?" Me: "Yes, but with 100% fewer Hutts." I've been grinding a few deeds in Moria, and I was finishing up an explorer deed in Flaming Deeps when I saw someone ask on World Chat where a good place in Nud Melek was so jump and die that wasn't part of the Bridge of Khazad-dum. "Going for the hidden achievement, eh?" someone replied. Hidden achievement? Hmm... I looked over the edge of where I was standing, and suddenly my fear of heights kicked in. *Smart move, devs, to not give anything away. "Gandalf? Is it Gandalf? Oh, I'd love it to be Gandalf!!" [Gets a bit farther in the Epic Questline] "Oh. Not Gandalf. Well, that was unexpected." Some thunderstorms and the occasional stray tornado blew through our area last night. Luckily the damage found nearby was minimal --only a few downed wires and flash floods-- but the lightning and wind woke me up at around 1:30 AM. I rolled over and eventually went back to sleep, but in that half-awake state I mumbled to myself that "at least I didn't have to worry about this crap on Taris." 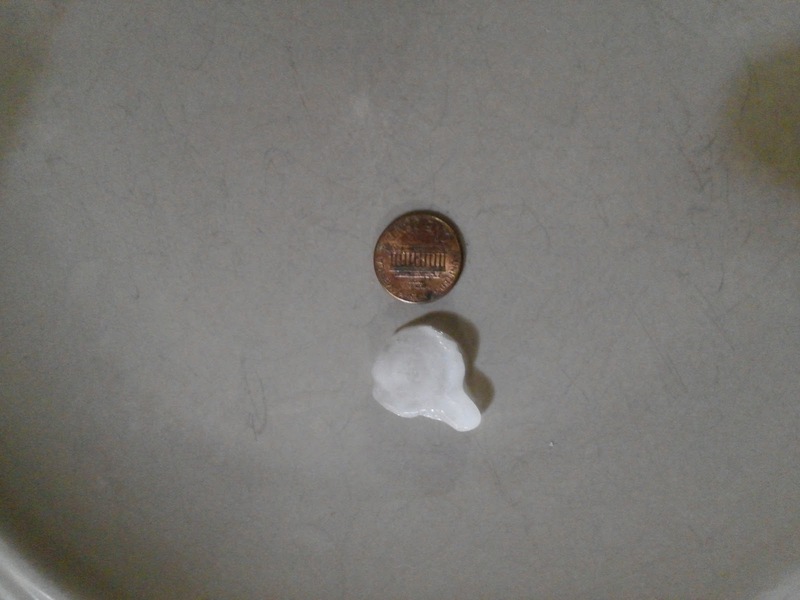 Hail this size you won't find in a steaming jungle with toxic swamps. Which actually was a pretty good point. Well, outside of the fact that I'm not so sure I'd want to fight Rakghouls and thunderstorms at the same time: "Rak-nado! Coming to the SyFy Channel in 2018!" Weather has always been a tricky thing in MMOs. The classic single world MMO, such as WoW or LOTRO, could have weather easily integrated into it, but the multiple world MMO (such as SWTOR and to a minor extent Wildstar*) weather takes a back seat to an individual world's atmosphere. Think of it this way: while you can spend a lot of time --gamewise-- in a WoW zone or an entire continent (think Northrend, for example), your average time spent on a small slice of a planet in SWTOR is comparatively small. But even on games such as WoW, region shaking weather such as a monsoon or a hurricane or even thunderstorms is a very rare event. The only pure weather event that I can think of that I see with (somewhat) regularity is the numbing and visibility killing fog that emanates out of Forochel in Middle-earth. 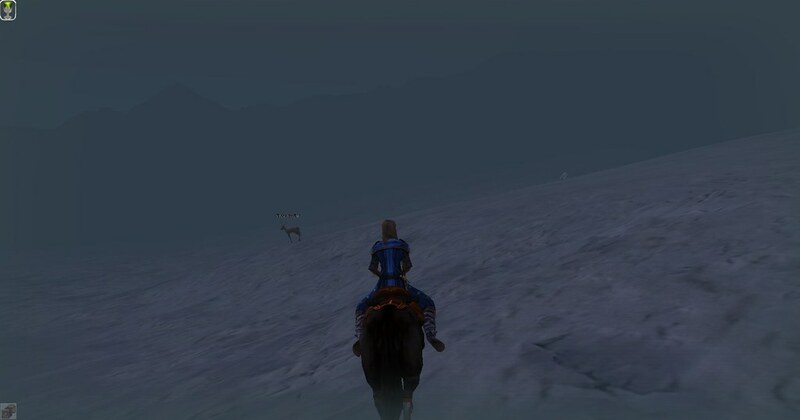 I've seen that fog creep all the way down to Evendim** from time to time, which causes massive visibility issues for a game that tends to rely upon old-style line of sight for figuring out where the maguffin you're supposed to find is located. But rain and snow in LOTRO aren't that big of a deal, just like how they are in WoW. When it is nighttime, that fog is really creepy. 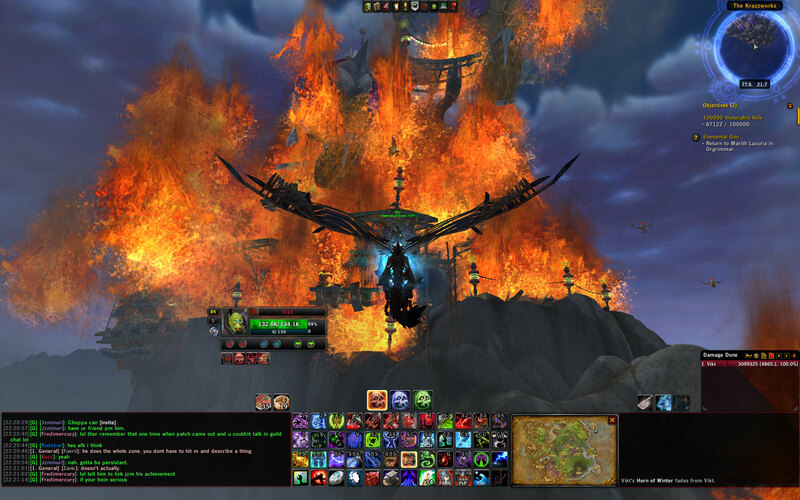 In fact, I'd argue that the only big "weather" event for WoW was back in Cataclysm, when Deathwing would randomly blast an area with his dragonfire in a "hellfire and damnation" souped-up version of a global/raid/world boss. took a screenshot. This was from viktdk.wordpress.com. The big problem with a huge weather event is that it would require more than just "oh look, rain" on screen. You need to implement a form of phasing, where you have trees losing branches and rain (or snow or hail) bouncing off of houses and other "background" items. And for all of that effort, you'd expect the devs to put in a few quests as well. I mean, why go to all that extra work just for a background effect when people are clamoring for raids, instances, and questlines? I can see where at the height of WoW the devs there could tinker with that sort of thing, but the age of the 10 million subscriber MMO seems to have passed, taking with it the budget necessary for such side projects. In the end, I guess that MMOs will continue to do what they have, and have a region with "rain" or "snow flurries" which turns on and off from time to time. It's a shame, really, because no matter how MMOs add and modify regions, without the impact of weather --and severe weather-- the world will feel static after a while. Without having to worry about dodging downed tree branches. *For those not aware, in Wildstar some of the zones are actually on moons of Nexus. **Unless that's a bug, but hey, I don't mind bugs like that. Geek and Sundry | Your Daily Dose of Geekiness & etc.